Mandy’s horse. Best horse ever bred (but not if you ask Brian). 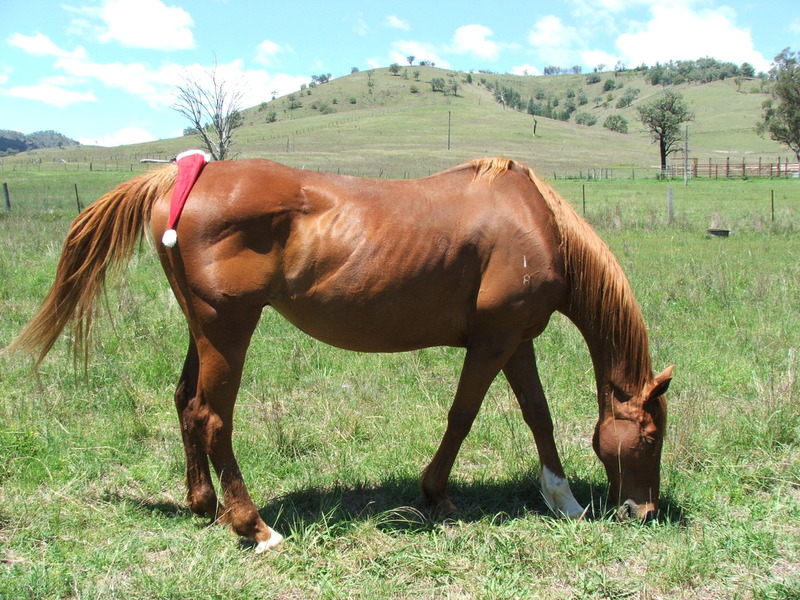 Chestnut Thoroughbred raced as “Lochiel Bandit”, but long since retired from the track. Confuses chase cows with race cows so not really a mustering horse. Loved to bits. I have an apple addicted, chestnut quarter horse and love him to bits too! Bandit will always be my once-in-a-lifetime horse. Sadly he passed away a couple of years ago (see post Eulogy for a Horse). I will ever miss him.